Lovely. I love the baking cups too, you'll have to use those next year if you don't get chance to use them this year. By gosh, those scones really do look the part! Thanks a mill' for sending them along to the parade. I would so love to use them now, but time is passing me by quickly. Next year it will be. Thank you so much Daily Spud. I'm so pleased to be part of the parade. Love your Paddy's Day scones! I don't have any Irish heritage either, but my husband is Irish born and bred in Co. Tipperary, so we'll be celebrating tomorrow, albeit from afar! Enjoy your evening tomorrow with your husband. I'm sure it'll be fun! 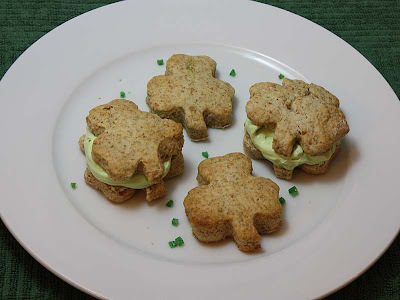 Lovely shamrock scones!I must admit we do not go overboard over here in Ireland cooking green anything for the day. 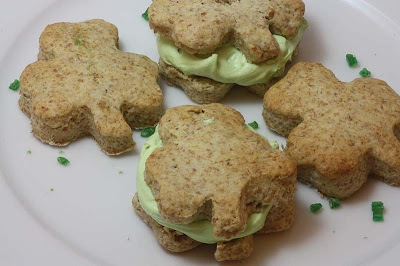 I am always amazed when reading blogs around the world the trouble people take to make/bake something with a green theme. I think Mc Donalds were the first here to have green milkshakes on the day! There are parades and lately farmers markets and traditional music in the pubs (where else)If the weather is good I will be spending the day greening my plot as the kids have the day off school. 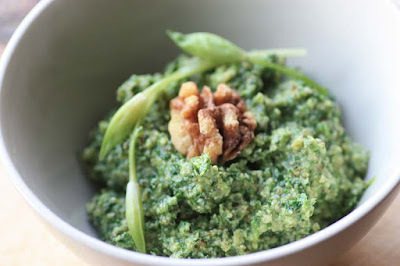 Your right when you write people 'do not go overboard in Ireland cooking green anything for the day'. But its those of Irish ancesty dotted all over the world that want to make their mark and celebrate by cooking things Irish and colouring them green, can't blame them for wanting to be part of St Patricks Day. I'm originally from Wales and St Davids Day is not celebrated the same way; and I now live in Scotland and St Andrews Day also doesn't get the same sparks. So you can see why even people like me want to be part of St Patricks Day. I hope the weather is kind for you so that you can spend time at the allotment. 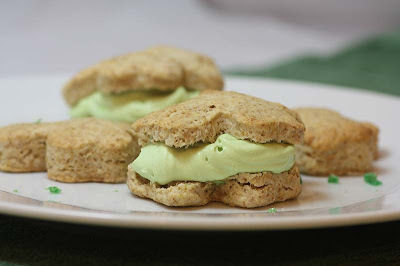 These scones are perfect for St. Patrick's Day, Mango. You are quite clever. I've a box full of cookie cutters and I love it when I have an opportunity to play with them. Thank you so much for coming by Lilly. Ah I've done heart shaped and pumpkin scones too. It really does make the scone more appealing to the eye. 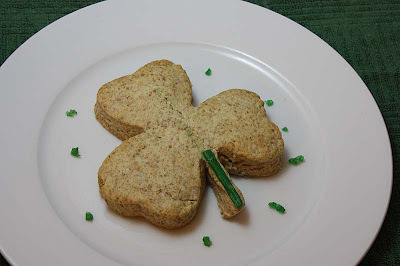 Your shamrock brown scones do look so lovely!! What cute cookie cutters!! 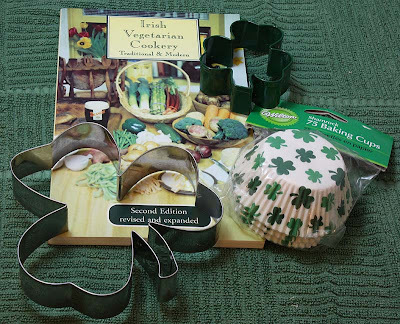 I have been spoiling myself with the purchase of cookie cutters over the past few years, all of which will at some point appear on this blog. 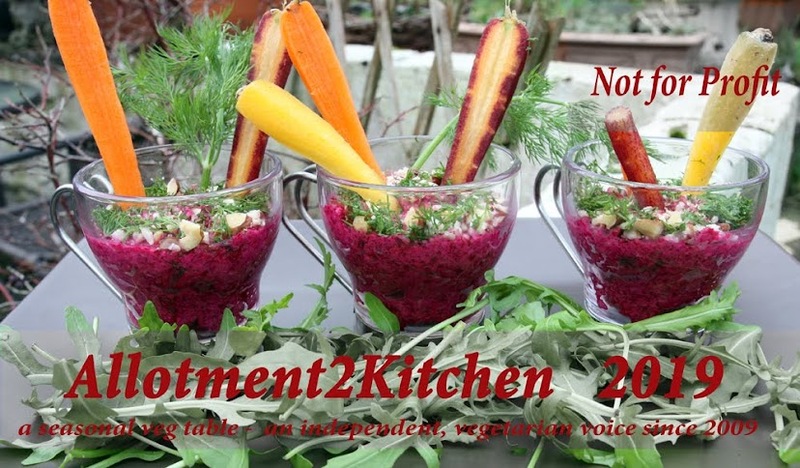 Sweet looking veggie puddings. Love that shamrock cutter. Happy St. Patrick's Day. 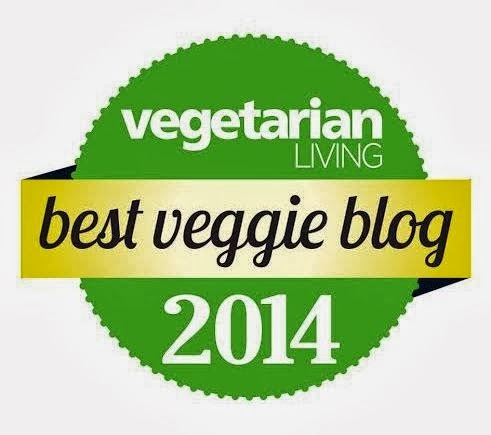 The scones are great, fab idea! Thank you so much Nicisme.